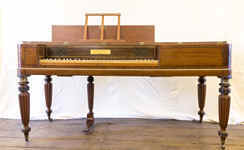 We are pleased to offer new, antique, and selected used Early Keyboard Instruments, from stock and to commission — Harpsichords, Spinets, Clavichords and Virginals; early Square, Grand and Forte- pianos. 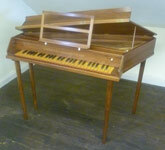 Listed below is our current stock of instruments for sale. 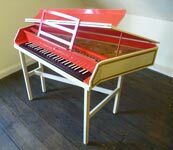 If you are looking for something specific which you cannot find here, please do get in contact and we will see if we can help. 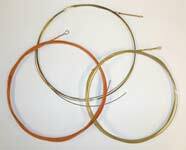 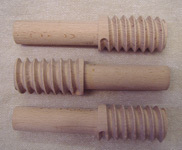 We now also offer replacement leg threads for square pianos & strings for all early keyboard instruments - please see the Accessories section below. 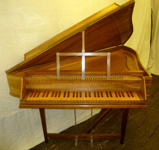 We currently have no new instruments available from stock, please see our New Instruments page for a selection of our previous work. 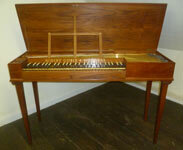 To see our stock of instruments awaiting restoration, please click here. 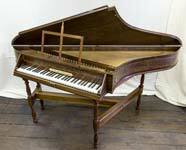 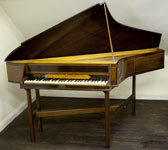 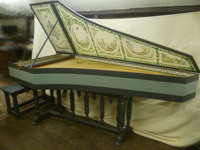 To see some of the instruments which we have restored in the past, please click here.